I have noticed lots of bloggers wearing this trend lately. 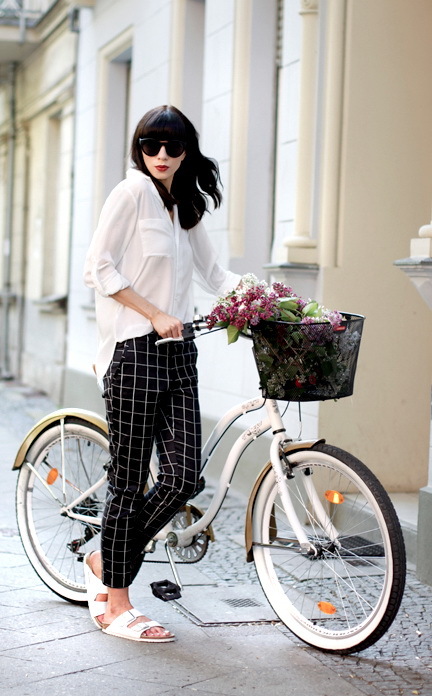 Speaking of patterns and prints, then the most popular ones are floral and gingham ones. I suggest you not overdoing with the overall look, I mean it's better to pair them with simple and calm color tops, shoes and accessories, otherwise you will look weird. Today I want you to look through this compilation and find your favorite patterned pants to wear next week. Please let me know what pants you might buy.